Pilot Metropolitan Ball Point Pen – Inspired by Metropolitan design the Pilot MR suites perfectly to the office environment. Alpine Swiss ID Wallet – A hybrid bifold wallet that has flip-out ID window for quick and easy access. Made from genuine leather with the iconic Alpine Swiss logo. Victorinox Swiss Army Classic Infantry Vintage Watch – Victorinox is known for their well-built multi-tools and it is no different with their timepieces. The Infantry Vintage isn’t too flashy and does the job. 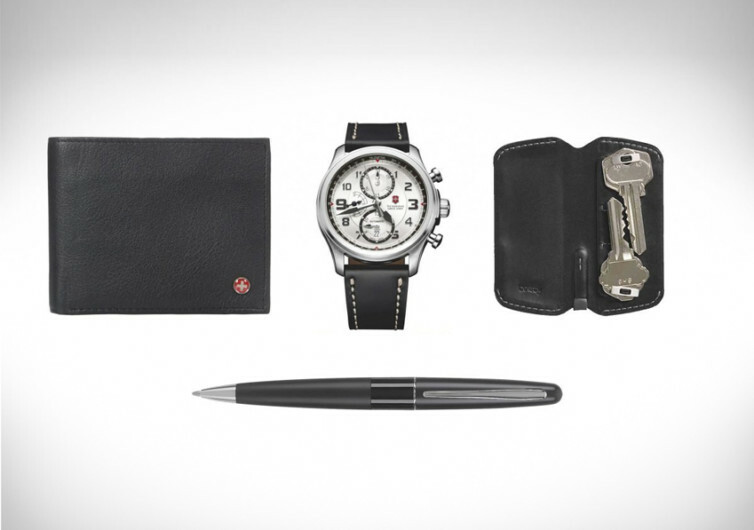 Bellroy Leather Key Cover – Bellroy have crafted this leather key cover to hold your EDC keys. Perfect for stopping that annoying key rattling sound while walking around the office.